It’s funny how we just can’t seem to find a place where bamboo isn’t a welcome addition to a room. 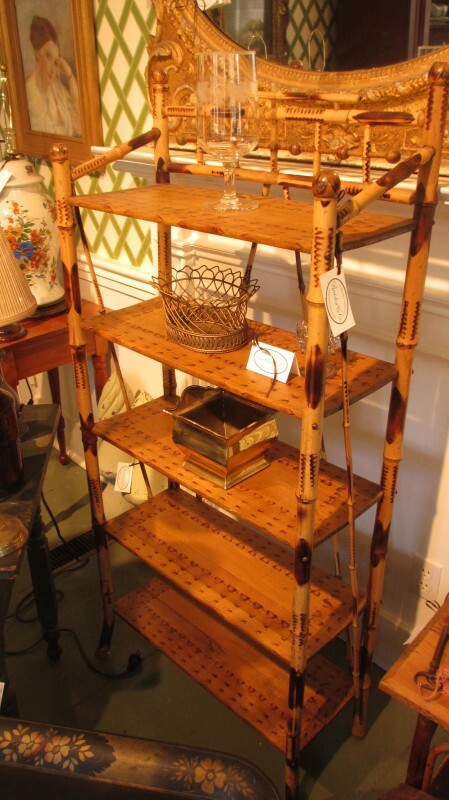 One always thinks of bamboo as a very casual or an asian decorative accessory and but there are 3 species of bamboo that are native to this country and were used here in this country by native americans and european settlers alike. 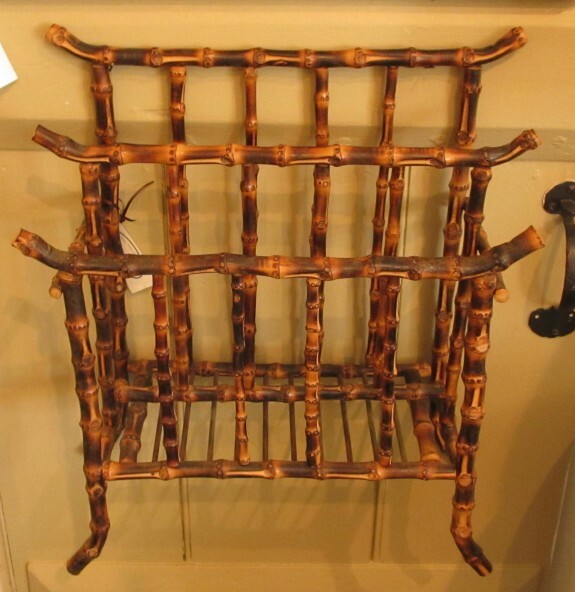 We have even found 200 year old American Windsor Chairs made partially of bamboo. After new species were introduced into this country in the 1880s there was a renewed interest is its usage for furniture. 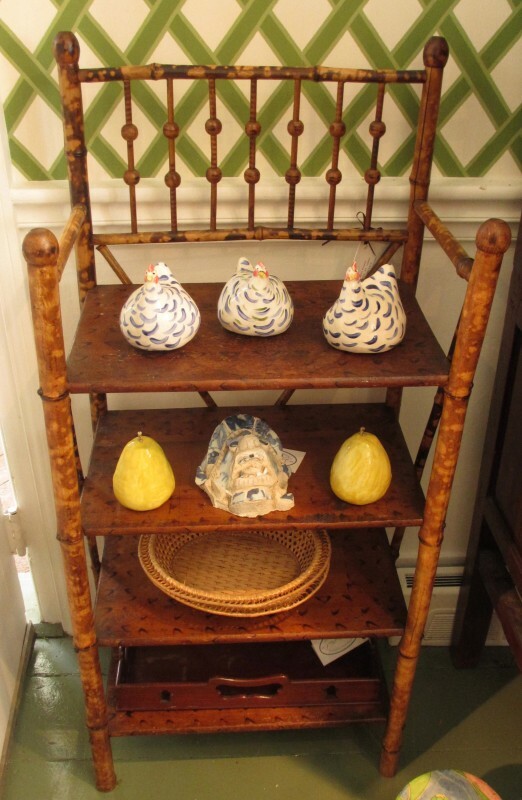 The strong stalks lend themselves to wonderful naturally decorative shelving units and we are lucky to have 3 currently the Shop. Bamboo adds an easy element of interest to any room or as a contrasting backdrop to some of your more formal collections of glassware, china or fine linens. Don’t be afraid to stack towels or magazines on these beautiful, yet practically indestructible pieces of furniture.